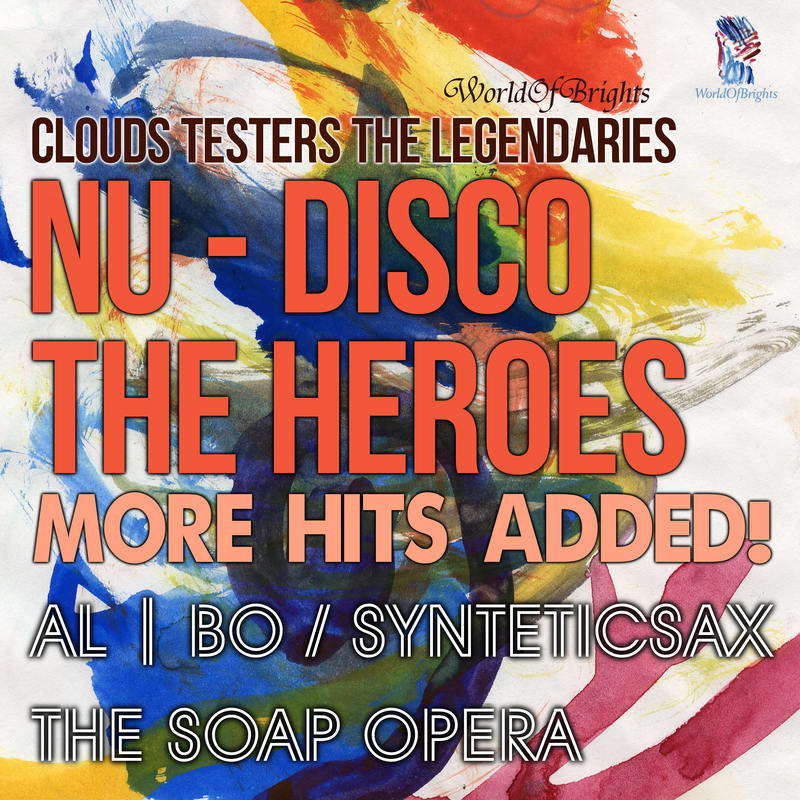 "WorldOfBrights / Clouds Testers The Legendaries" Label presents album-compilation of nu-disco hits by Moscow vocalist, songwriter and analog synthsman al | bo, recorded within 2013-2016 - "Nu-Disco The Heroes: More Hits Added!". The release comes with the participations of leading Russian club saxophonist Syntheticsax and the Moscow trend deep-house project "The Soap Opera". Compilation illuminates premiere editions of original vocal hits by al | bo, previously supported by countless remixes including the status of the national dance hits and several al | bo's synth tracks reffered by global resources of professional synthesizer music as a reference demonstrations of hardware synthesizers capabilities. "Nu-Disco The Heroes: More Hits Added!" is the sixth volume of the "The Heroes" series presented the national deep-house / nu-disco music.